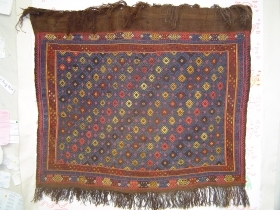 active since June, 30, 2007. 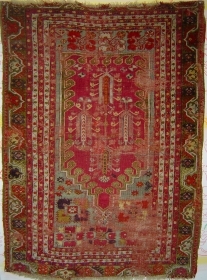 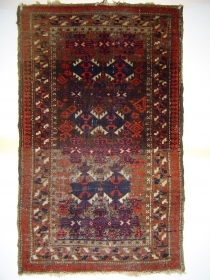 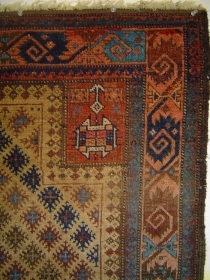 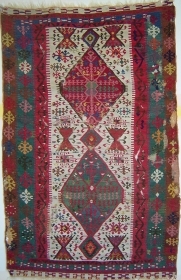 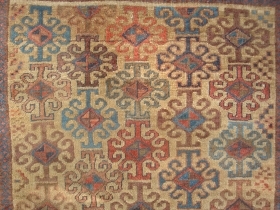 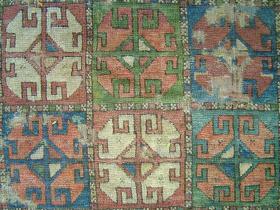 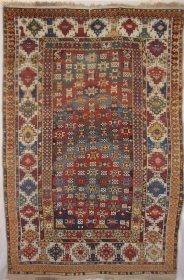 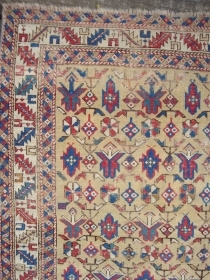 Transcaucasus Shahsevan kilim fragment, 59 x 26 inches. 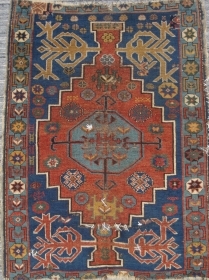 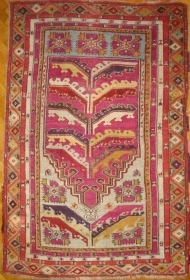 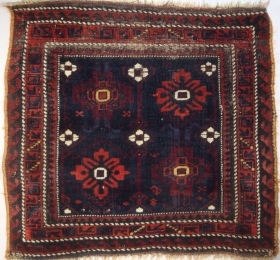 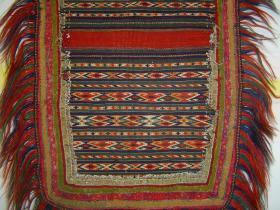 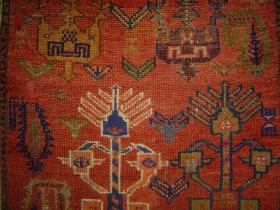 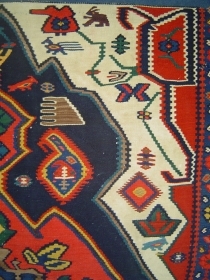 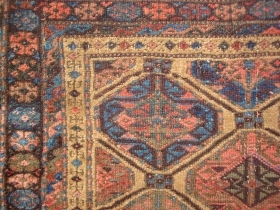 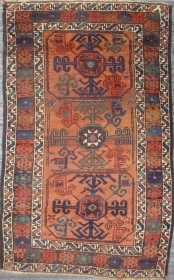 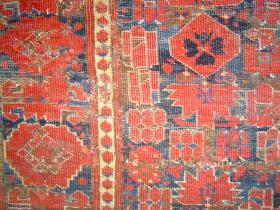 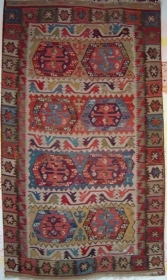 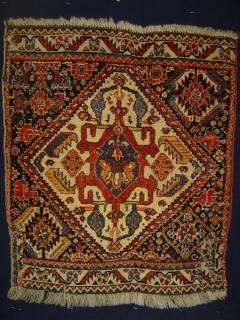 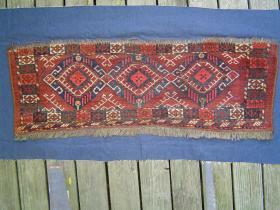 Full original width excerpt from a large 19th century kilim. 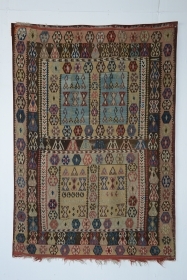 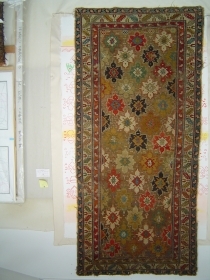 Rare Baluch rug in an ensi-like format, 46 x 58 inches. 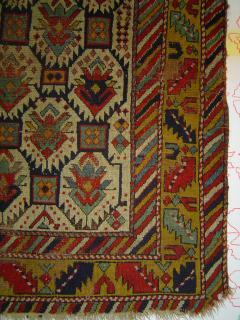 -- For more images please view my posts. 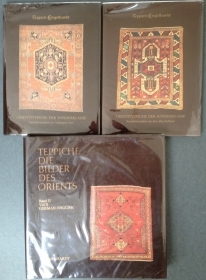 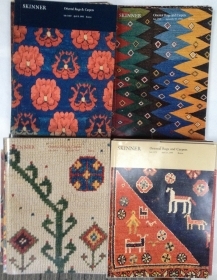 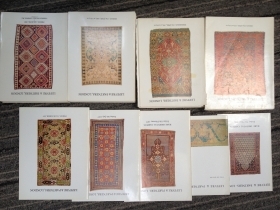 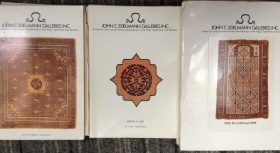 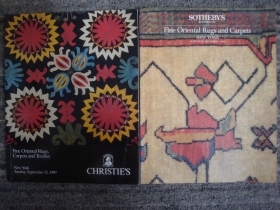 14 Christies (London and ny) and 61 Sotheby's (ny and London) Rug Auction catalogs. 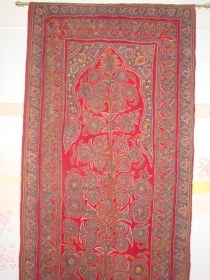 --For details, please inquire. 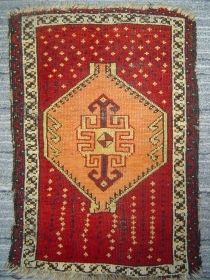 Anatolian yastik with amber hexagon spaceship medallion soaring over star-studded crimson field. 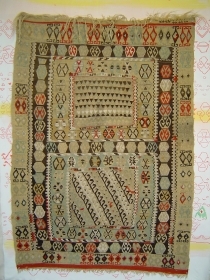 51 x 74 cm. 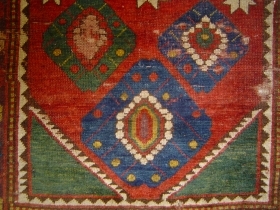 -- Late 19th century. 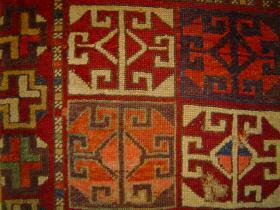 detail, very early Ivory Lattice Caucasian rug with wear, sound foundation and no repairs. 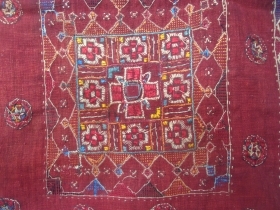 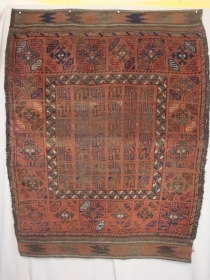 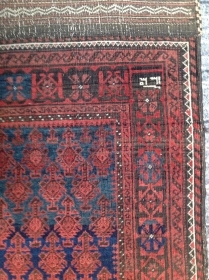 Very fine and old Kashkai bag front fragment. 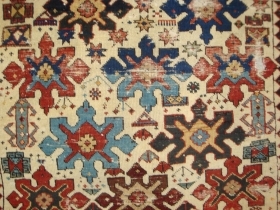 53 x 62 cm. 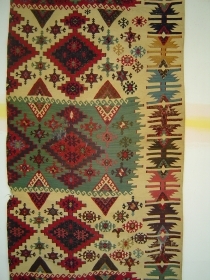 Sides reduced, patched in pieces at lower corners. 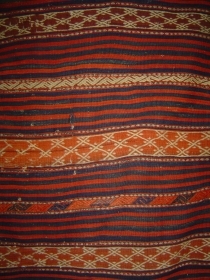 detail: Dalmatian kilim apron, 44 x 75 cm. 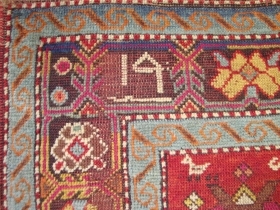 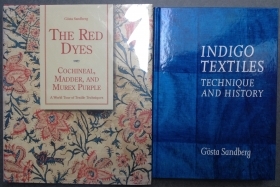 Deeply saturated colors, tight weave, rarely seen type.